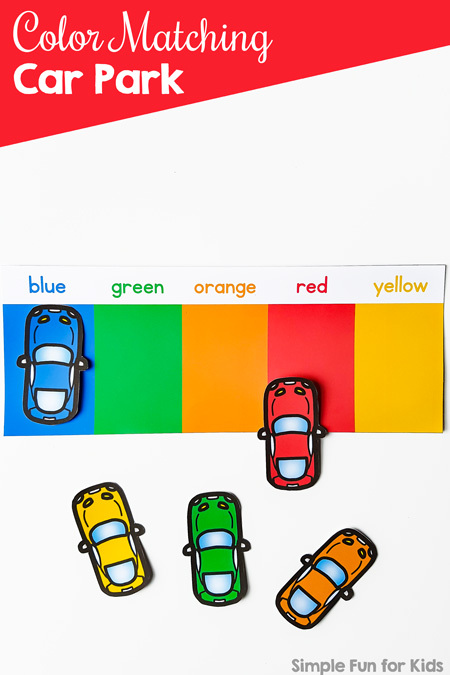 Today, I’ve got a super fun, simple printable color matching activity for your toddler or preschooler: Color Matching Car Park! You can either use the printable cars or extend the activity by digging through your toy box to look for matching “real” cars. Printable file (download for free below). Laminator, laminating pouches (optional if using heavy paper). Paper cutter and/or scissors (optional). This is a one-page printable. 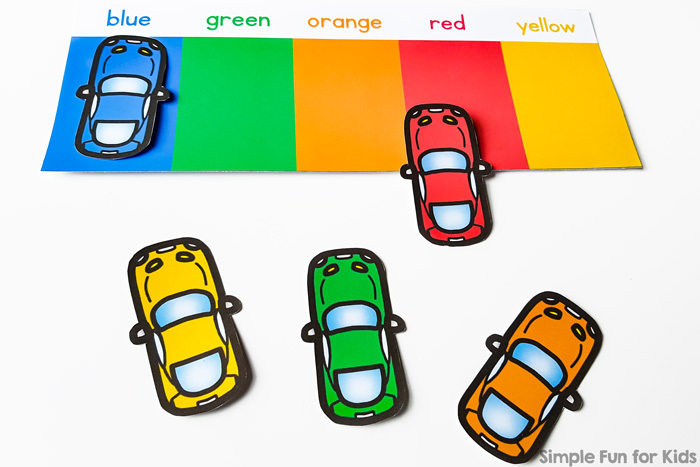 The top half of the page is a simple “parking garage” with spaces in blue, green, orange, red, and yellow. The color names are at the top of the “parking garage” in the matching color. If you prefer, you can cut the part with the color names off. In the bottom half, there are five cars (viewed from the top) in the same colors. Print out the page. Laminate everything (optional but it can never hurt). Cut out the parking spaces and the cars (or, again, use your own matching cars). 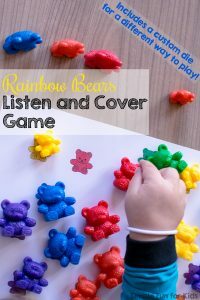 Play with the cars, park them, drive them around the table, talk about the colors, etc. Download your Color Matching Car Park printable! This printable has already been available for VIP members for several weeks as part of the VIP Early Bird benefit! 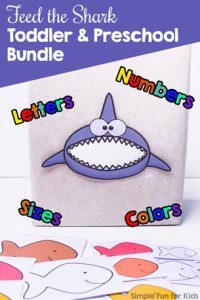 My Colorful Cars Mini Folding Book uses the same set. 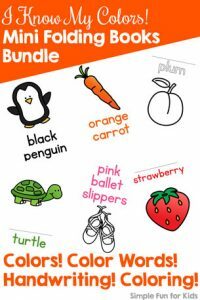 Are you looking for other color printables? Here are a few others!